Conference/banqueting (550/350). Rooms 129 (2 Presidential Suites, 33 shower only, 24 separate bath & shower, some family/interconnecting, 9 wheelchair friendly, some ground floor); B&B €49-149 pps, ss €20. Children welcome (under 3s free in parents' room; cots available without charge; baby listening; baby sitting arranged; children's playground, playroom & kids club). Pool table. Lift. 24 hr room service. 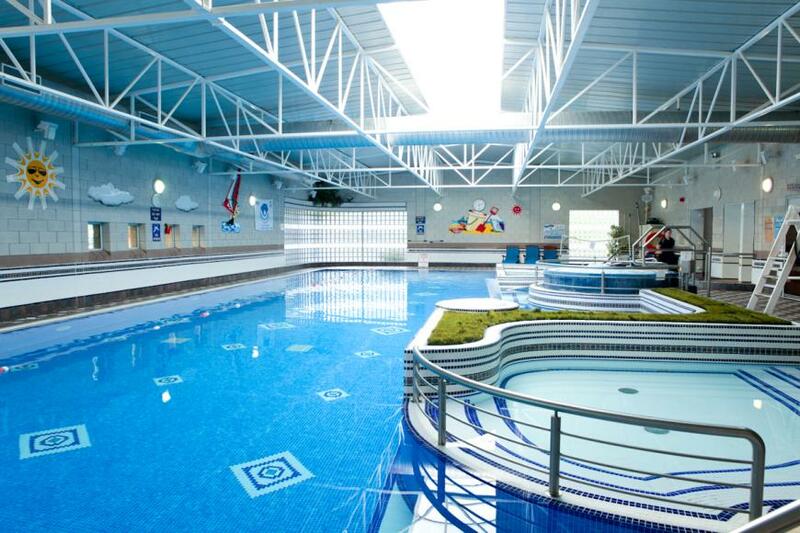 Leisure centre (swimming pool, fitness room, jacuzzi, sauna, steam room); spa, treatment rooms, massage, hairdressing, beauty salon. Cycling. Crazy golf. Garden. No pets. 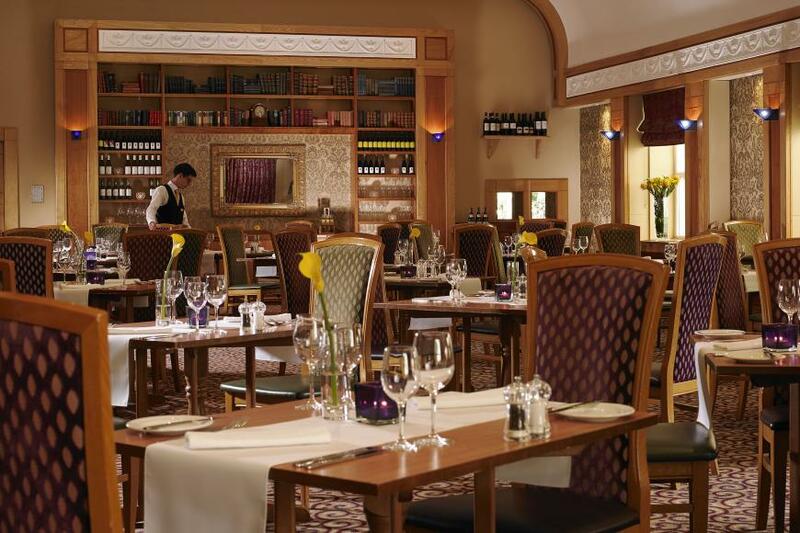 Restaurant seats 120; D daily, 6-9pm, set D €35, à la carte in summer; L Sun only 1-2.30pm; Sun L 4-course €26, children €9.50. House wine from €19.95. Children welcome (high chair, children’s menu, baby changing facilities). Bar food also served daily, 12-9pm. Afternoon Tea daily 1-6pm. SC discretionary. Open all year. Amex, Diners, MasterCard, Visa. 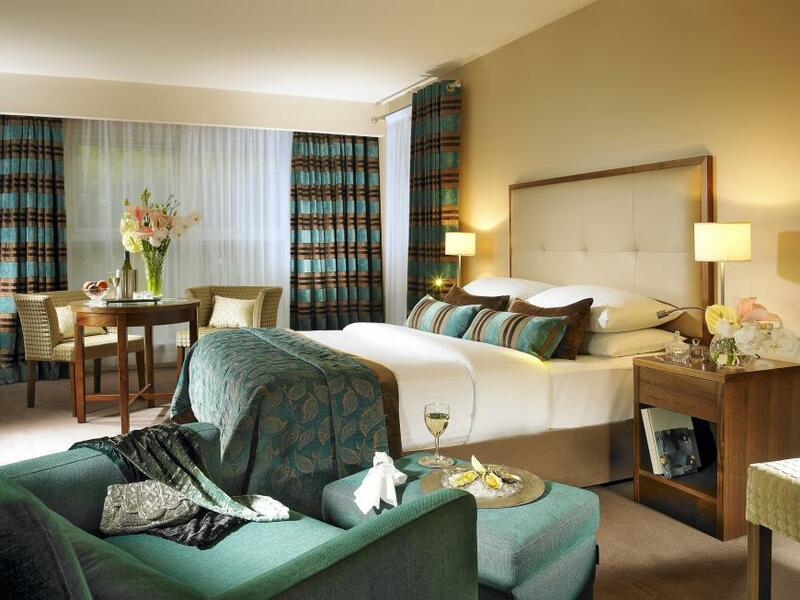 Just a short stroll from Westport town centre - and adjacent to Westport House, which is now in common ownership - this large modern hotel on the Wild Atlantic Way offers excellent facilities for both leisure and business guests. The conference and business centre provide a fine venue for corporate events, their wide-ranging short breaks are legendary - and this well-managed hotel has become a favoured destination for family holidays, due to its convenient location, great facilities and can-do attitude. 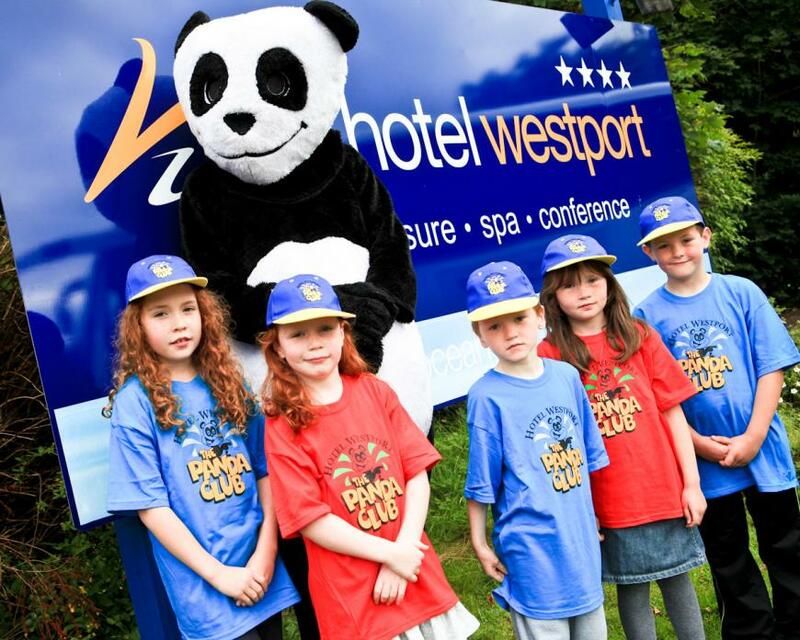 The location in particular is worth a special mention, as Hotel Westport is quietly situated yet close to the town centre which is accessible along a riverside path, allowing young families to enjoy exploring the town without having to take the car out. It also has direct access to the grounds of Westport House with its Pirate Adventure Park. Other nearby attractions include the Great Western Greenway, blue flag beaches, The Adventure Islands, horse riding, cycling, golf, watersports, and of course Croagh Patrick. 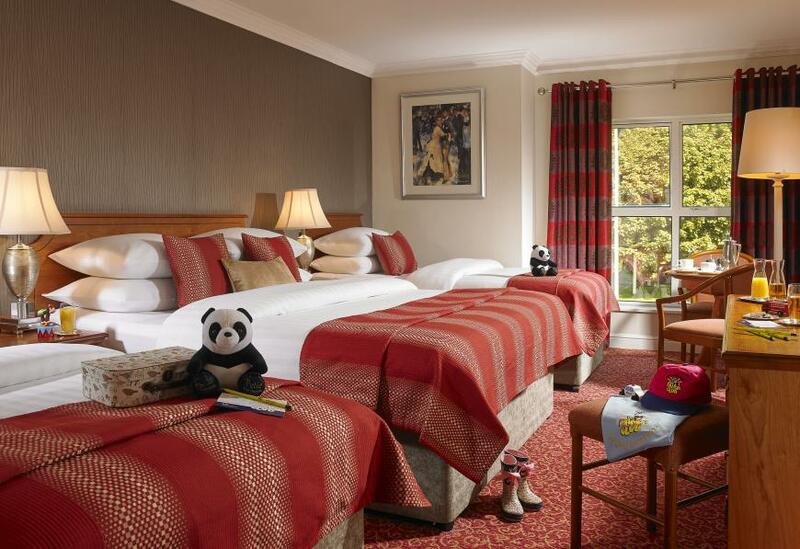 The hotel’s extensive leisure facilities include the white flag standard Ocean Spirit Leisure & Spa, which is a major attraction for families, who also a appreciate the Panda Club, for children 4-12 years old, which operates in conjunction with the Irish school calendar holidays (summer and other main holidays, and mid term breaks). Constant refurbishment and upgrading is an ongoing feature of the hotel, and all bedrooms are well-appointed with all the usual amenities. The whole hotel is unusually wheelchair-friendly, and staff are invariably helpful and friendly which, together with the quiet but almost-central location and outstanding facilities, make this a very pleasant place to stay. Conference/banqueting (500/300); free broadband wi/fi; laptop-sized safes in bedrooms. Rooms 129 (6 suites, 48 premier, 74 family, 8 for disabled, 104 no smoking, 42 ground floor); B&B €140 pps, ss €20. Children welcome (under 3s free in parents' room; cots available without charge; baby listening; baby sitting arranged; children's playground, playroom & kids club). Pool table. Lift. 24 hr room service. Leisure centre (swimming pool, fitness room, jacuzzi, sauna, steam room); spa, treatment rooms, massage, hairdressing, beauty salon. Cycling. Crazy golf. Garden. A typical hotel dining room in many ways, this is where both breakfast and dinner are served. 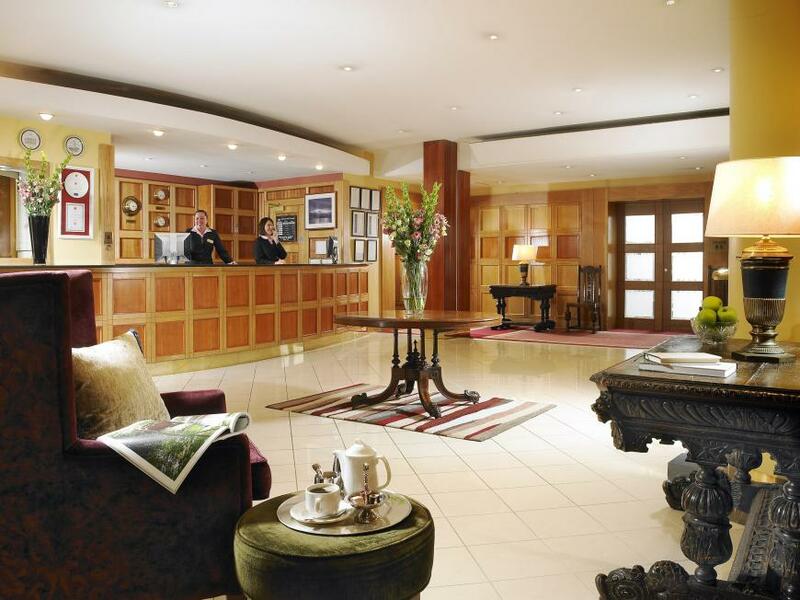 A sensible policy of seating people towards one end of the room and trying to seat couples facing the same way makes for a good atmosphere at quieter times, and - as elsewhere in the hotel - charming service from the mainly non-Irish staff is invariably friendly and caring. Guests are met promptly at the door and seated at tables simply set up with white cloths and napkins; a jug of water and basket of breads quickly follows, along with the wine list and upbeat traditional menus, which are imaginative for an hotel and strong on local ingredients; a food sourcing statement is given, also a list of suppliers, all in Co Mayo. View Farm Organic Salad Leaves, Joe Kelly Organic Vegetables and McHale Meats contrubute to hs seasonal menues, also many Irish cheeses, including the local hero, Carrowholly Cheese. yellow pepper ragout, organic baby spinach, and salsa verde. There will aso be favourites like chargrilled steaks and at least one imaginative vegetarian option, and in winter there may be treats such as pheasant when in season. The offering overall is well above average hotel standard, and with enough daily changes to ensure that you look forward to your meal each evening on a short break. Breakfast, which is cooked to order off-season, features the famed Kellys of Newport black puding and sausage, and there is always a range of stewed fruits on offer, also a fish of the day. From Castlebar Street, turn right onto north mall (do not go over the hump back bridge), then turn onto Newport Road, 1st left and at the end of the road.